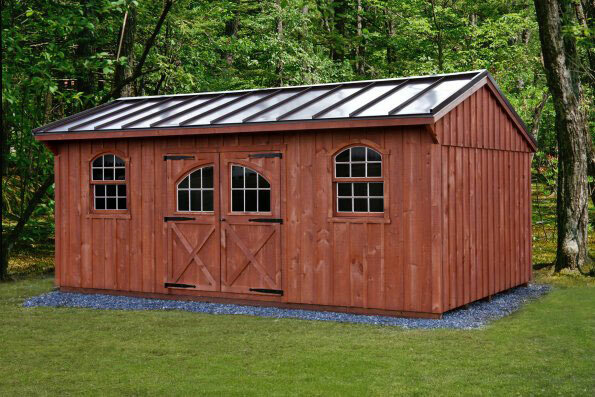 It’s easy using Amish Barn Company’s Shed builder below. 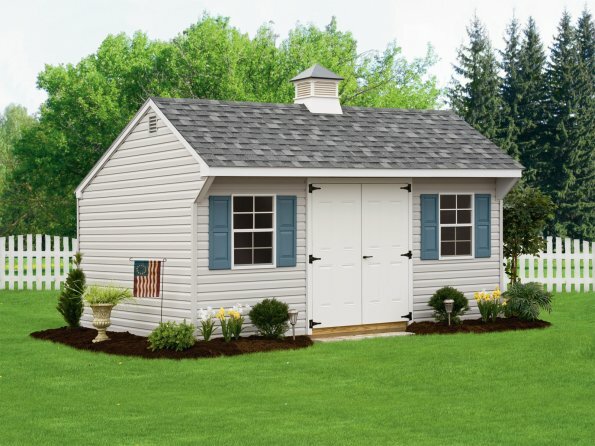 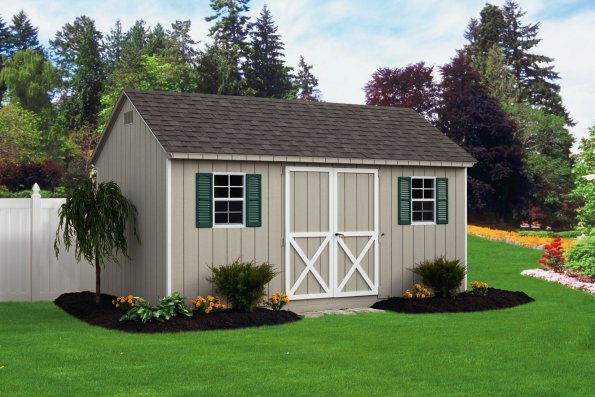 Just scroll through to find the style shed you are looking for. 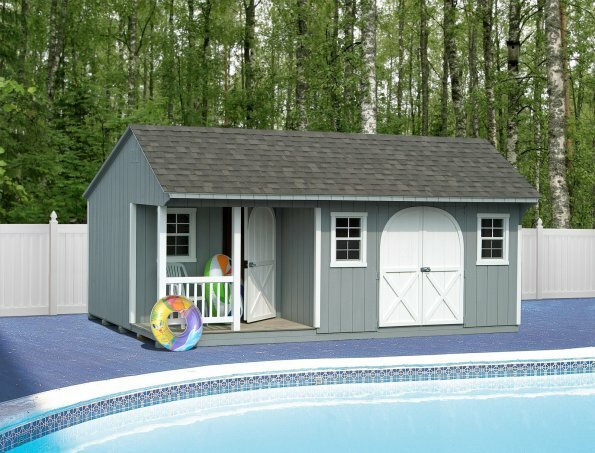 Click on that style, and start customizing the size, options and colors to fit your look and needs! 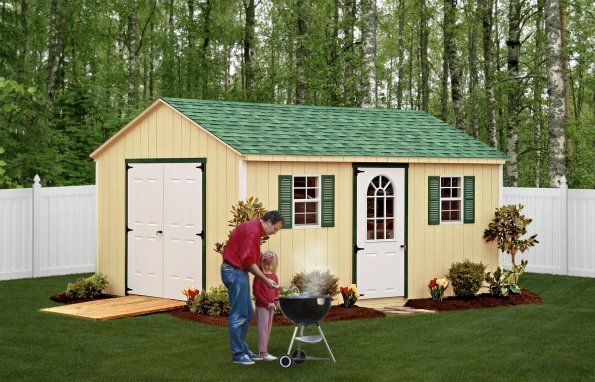 Once you have it the way you want, create a summary and have it e-mailed straight to you. 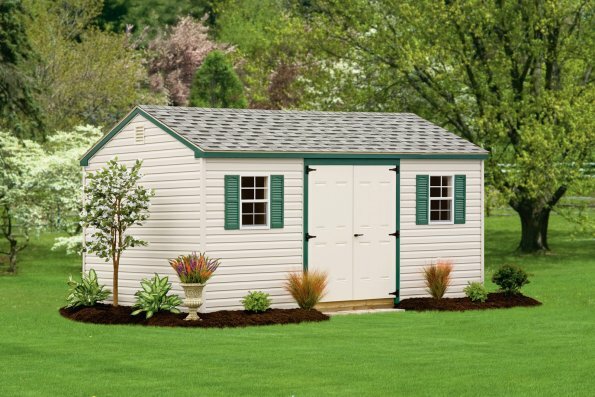 ….In a hurry? 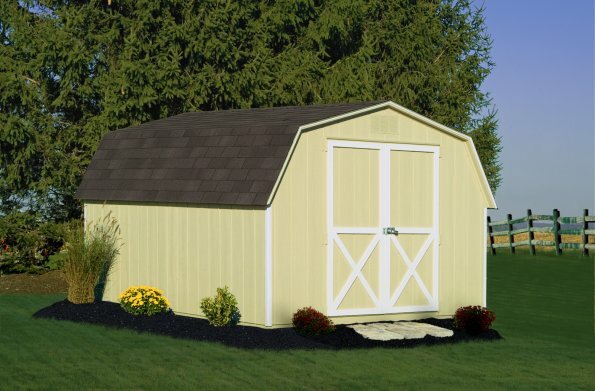 CLICK HERE to see what is IN-STOCK today! 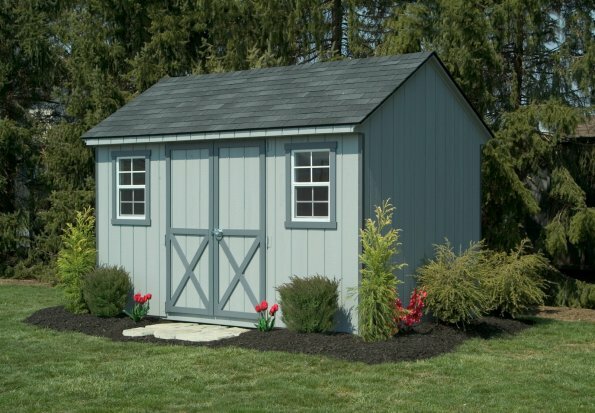 Free Delivery w/in 100 miles! 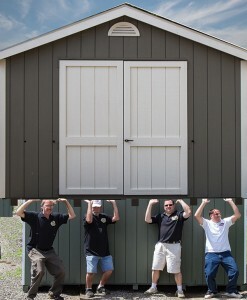 we are always looking for more storage!! 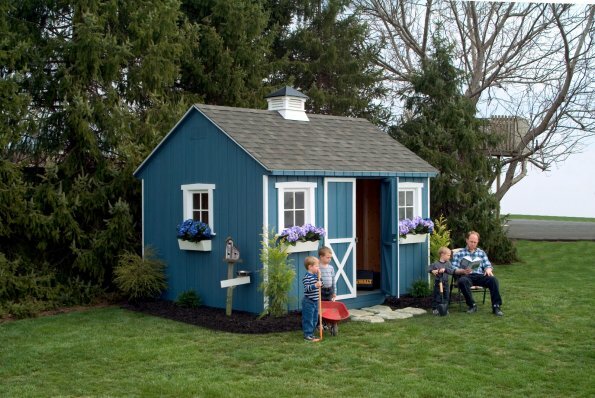 Whether it’s for kid’s stuff, whom have long moved out, but failed to pack all the belongings they claim to be too “important” to throw out – or maybe all the seasonal décor you have collected over the years has just overwhelmed your basement. 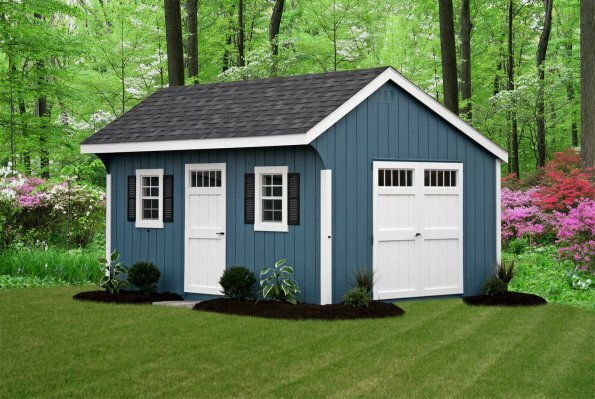 Sometimes, you are just tired of taking up garage space to store lawn furniture and mowers during the winter months…precisely when you need to pull the car in! 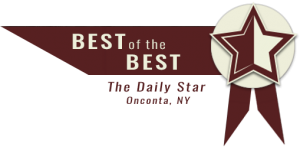 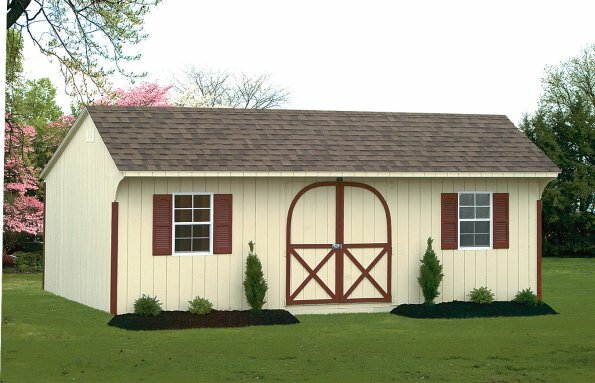 At Amish Barn Company, we have you covered! 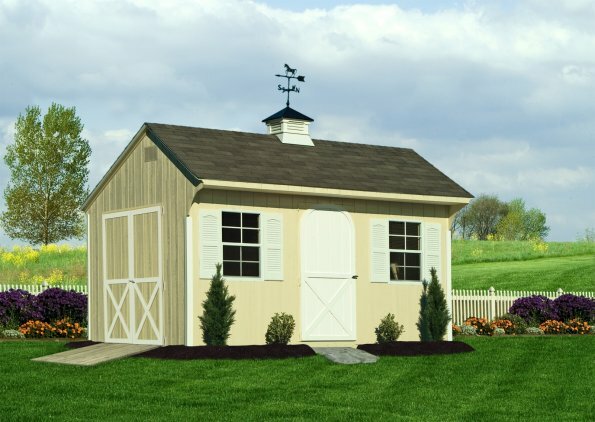 With buildings in a wide variety of sizes, and prices to match any budget, we can help you get your vision accomplished. 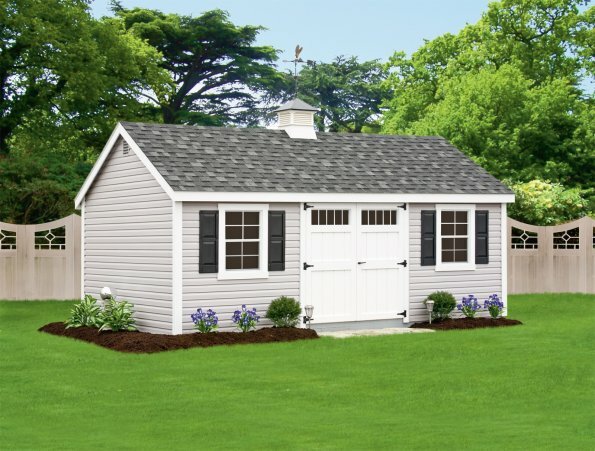 SHEDS STARTING AS LOW AS $73 PER MONTH!!!! 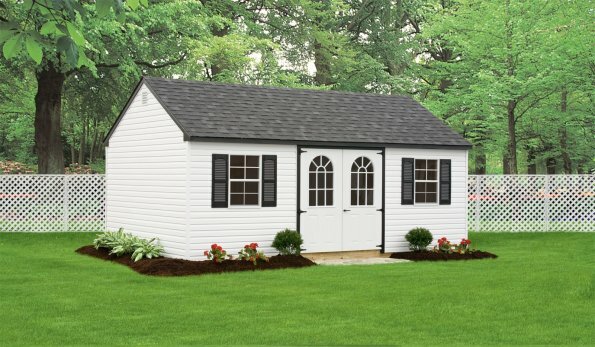 No Early Pay Off Penalty! 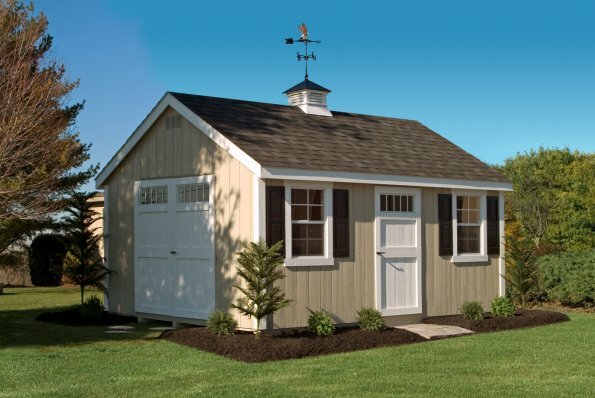 The New England Deluxe Trim package adds an artistic touch to your building. 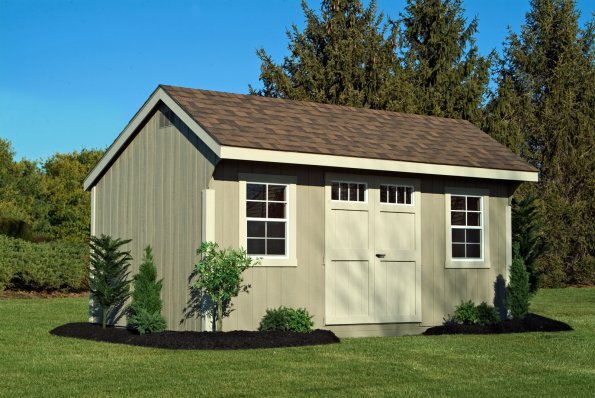 As an upgrade from the Signature Trim package, it features a wider 5″ trim and gives your building a wider overhang than buildings with the Signature Trim Package. 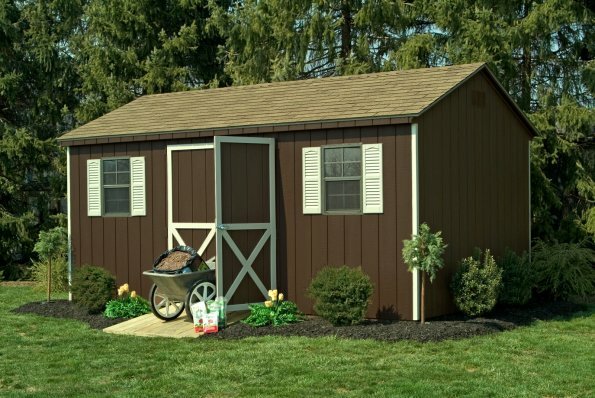 The trim is a composite wood giving it an authentic looking wood grain and is a durable product. 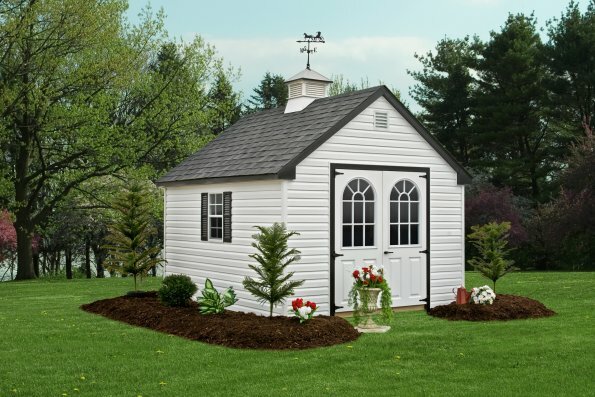 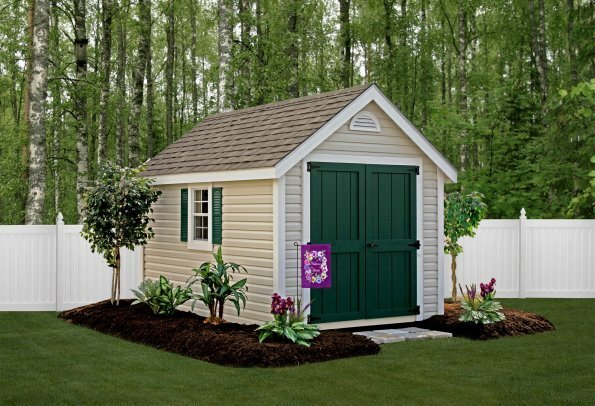 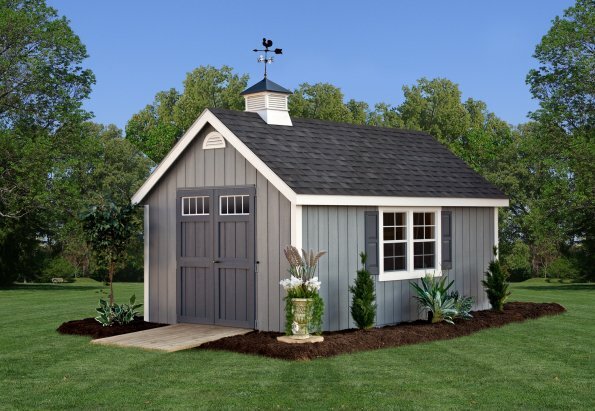 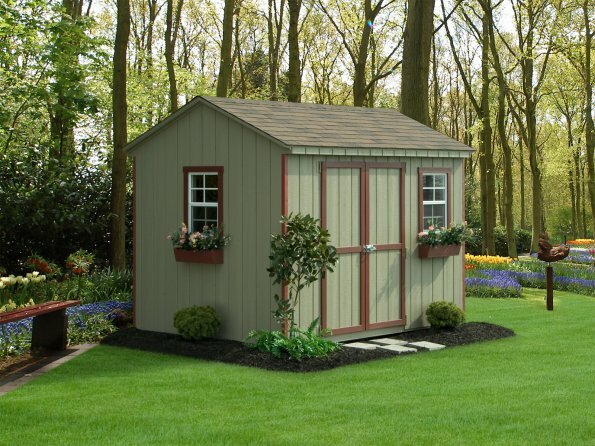 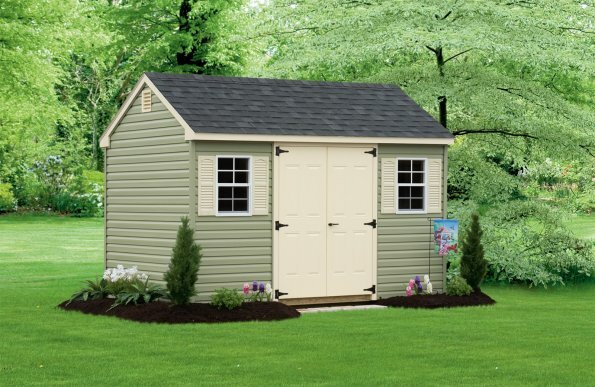 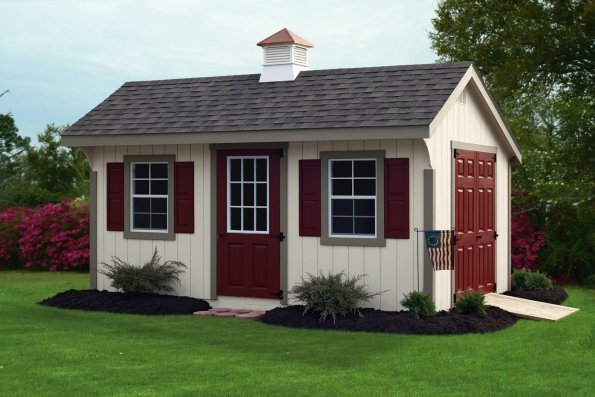 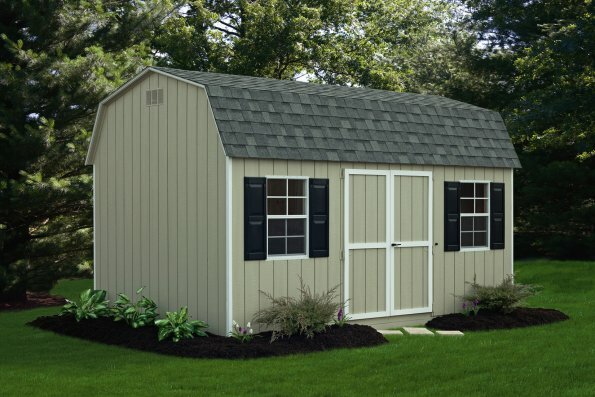 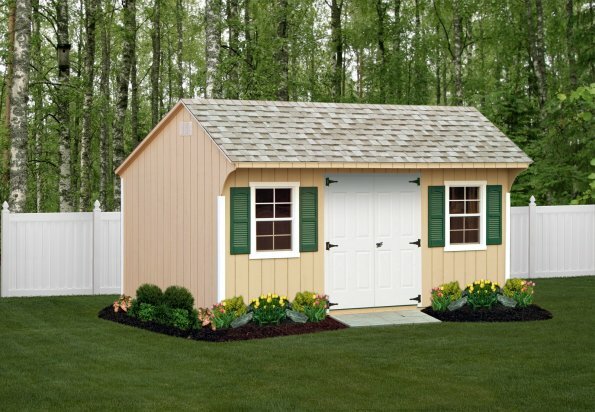 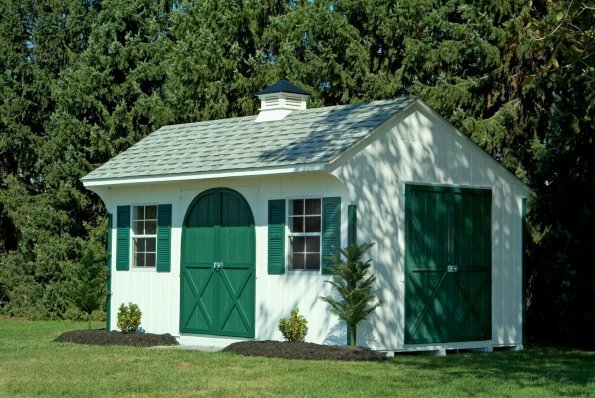 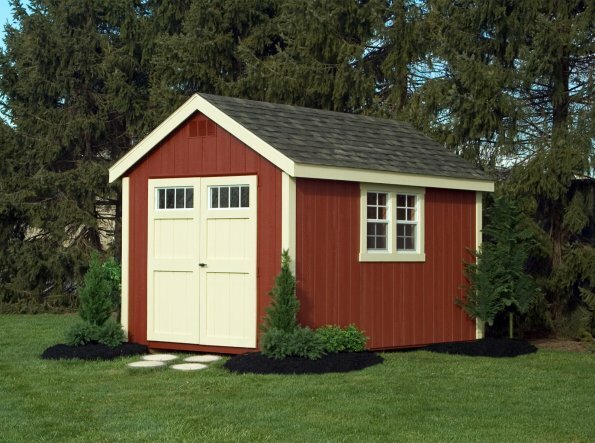 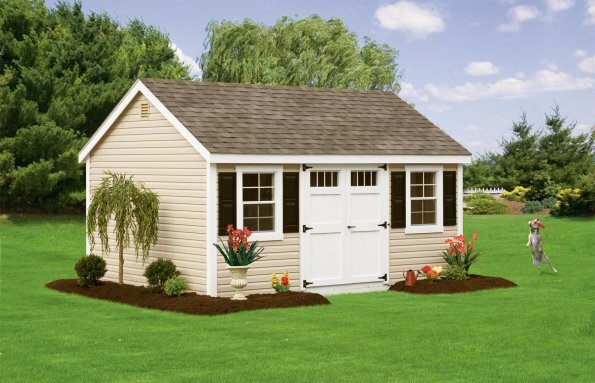 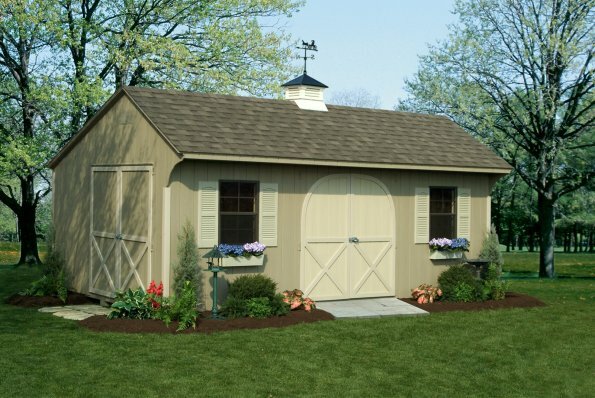 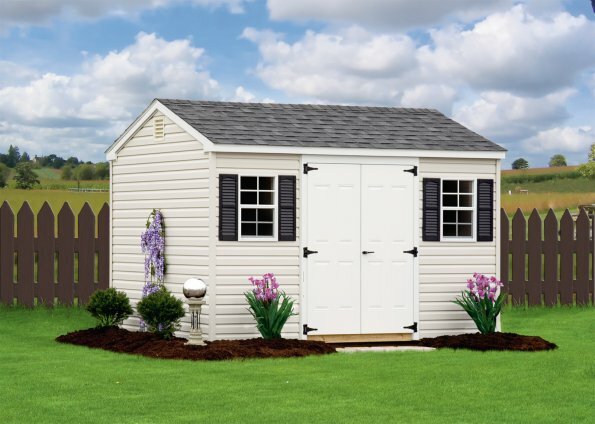 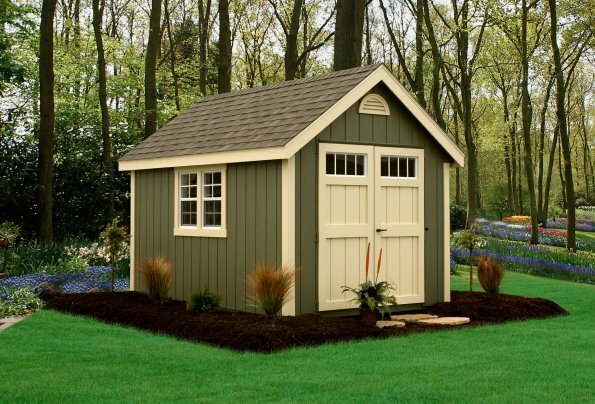 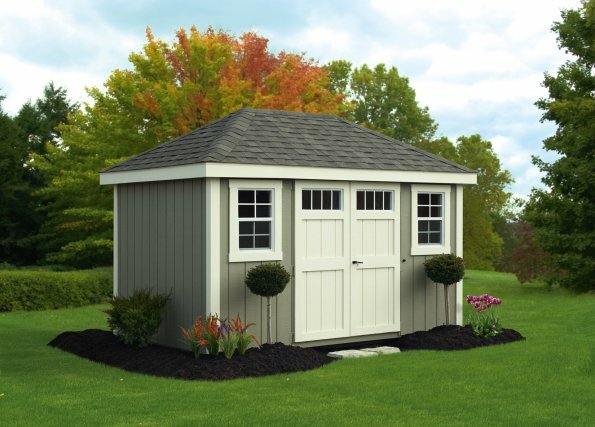 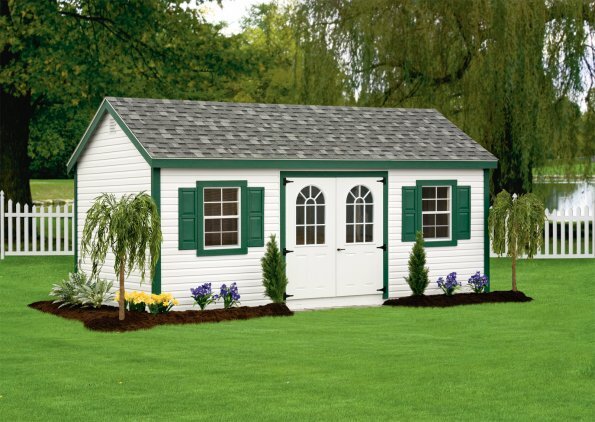 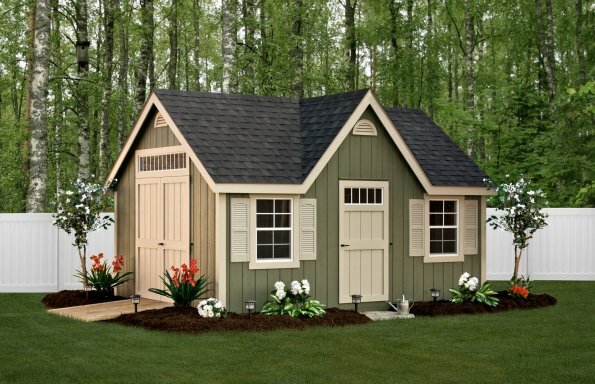 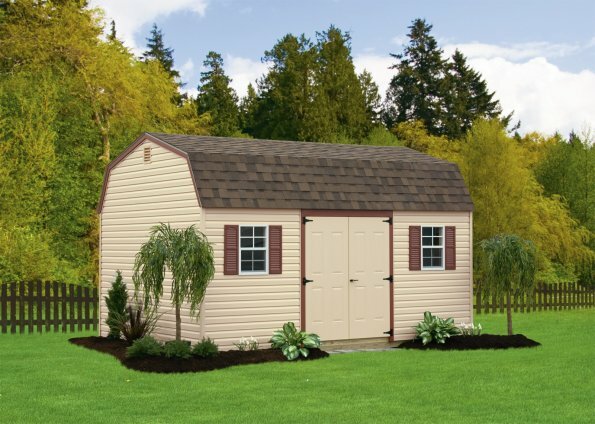 The Signature Trim package is the most economical choice for your garden shed trim package. 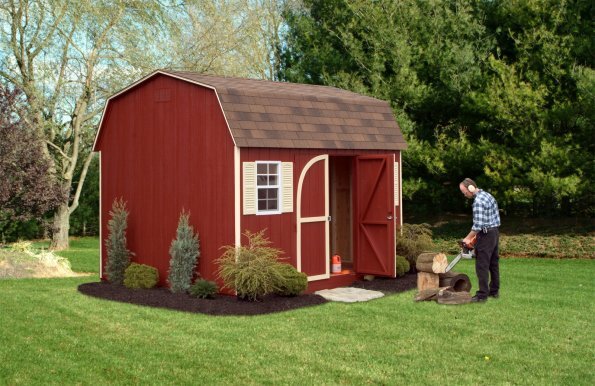 It features a 3″ trim using a poly product that resists decay. 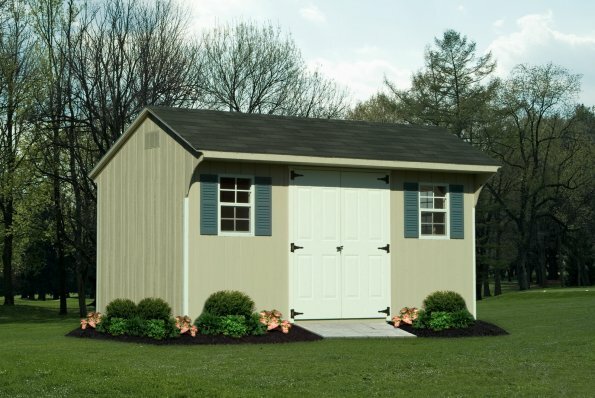 Click on image to scroll through the gallery. 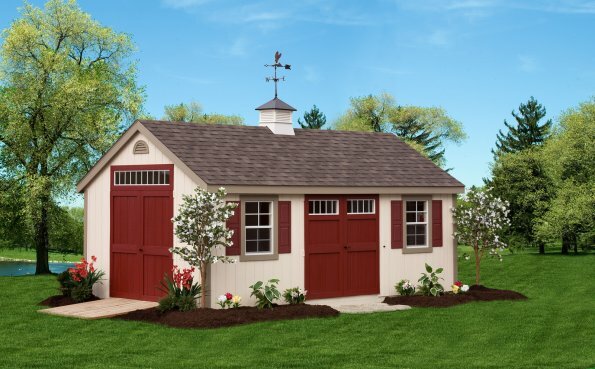 Looking for a more rustic design? 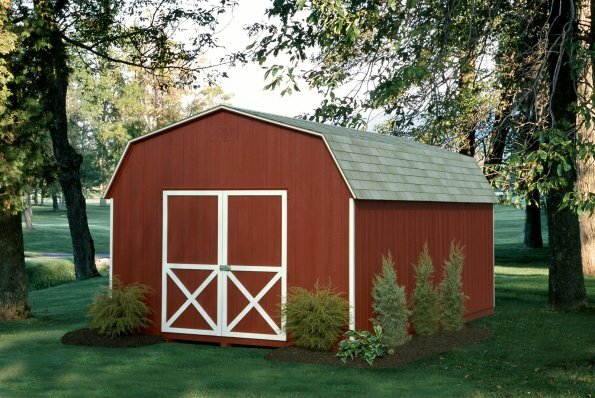 Visit our Board & Batton Shed Page. 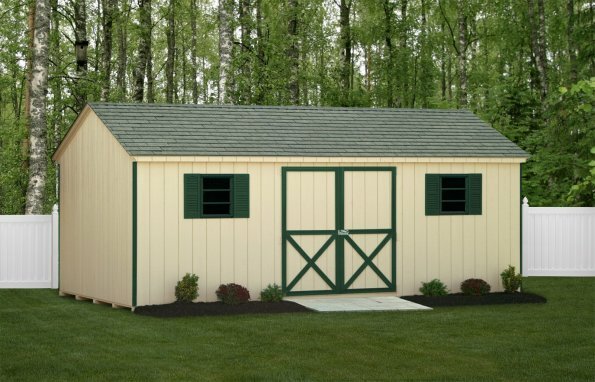 What Makes Our Sheds so Awesome??? 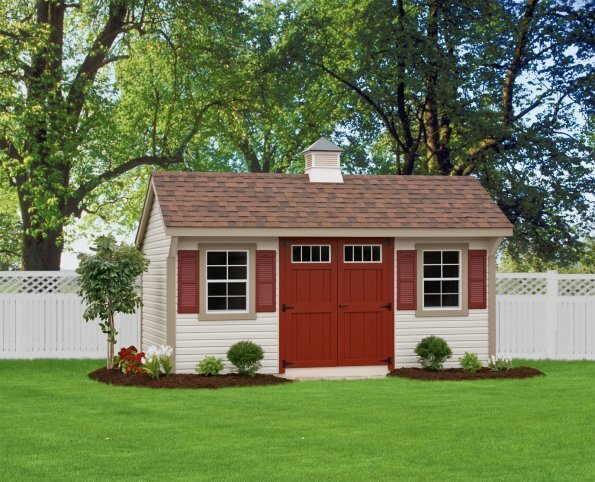 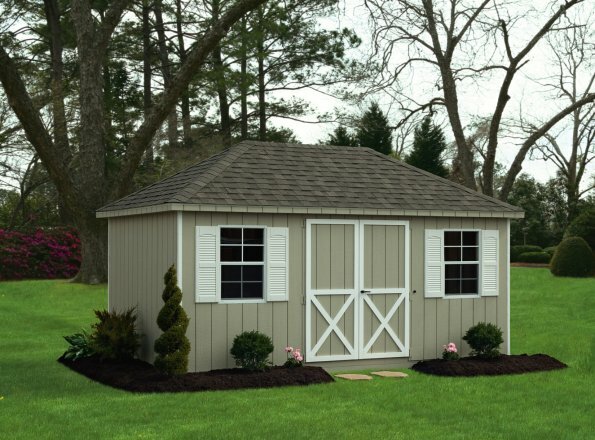 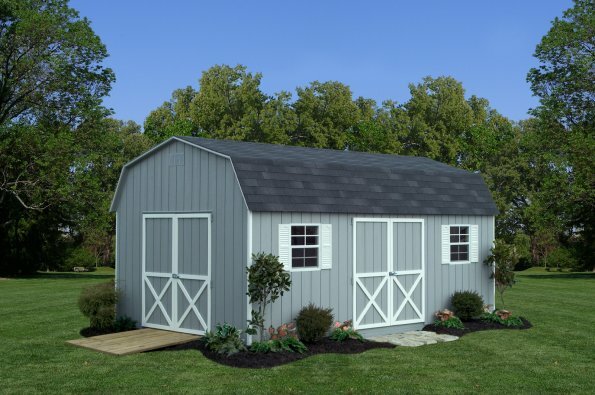 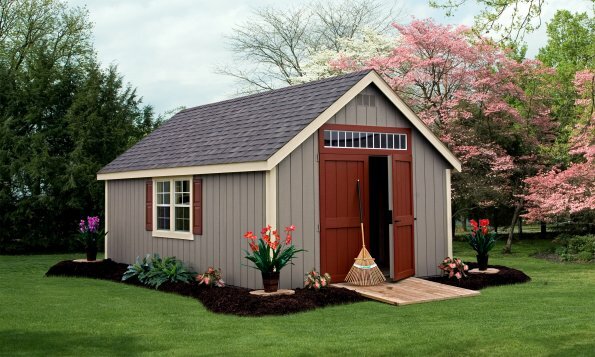 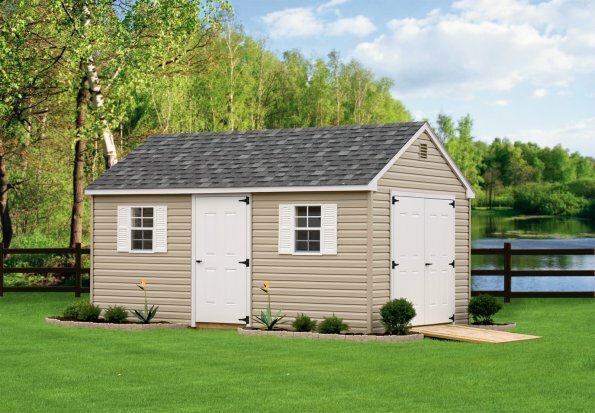 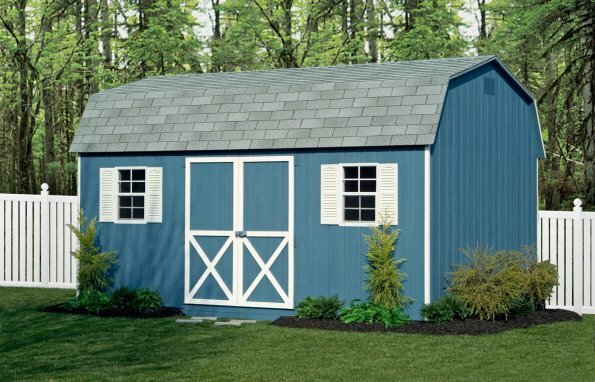 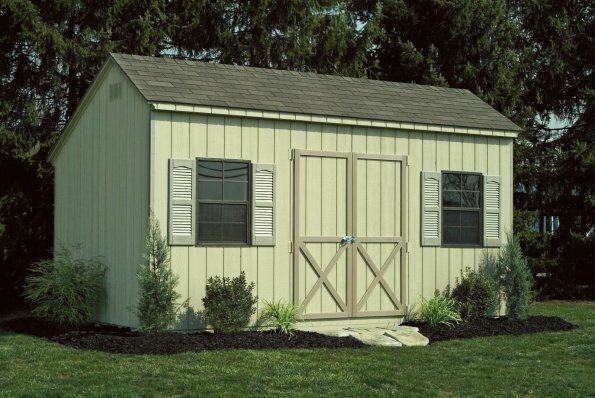 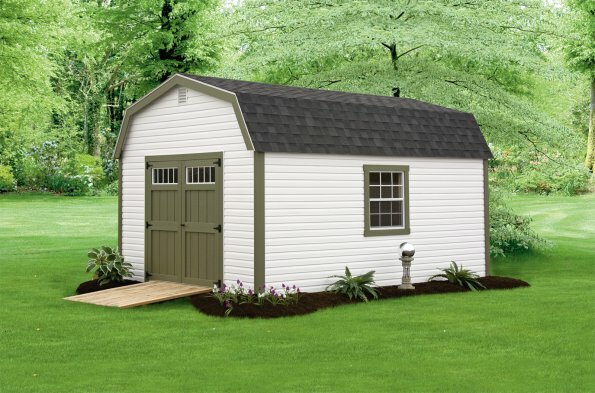 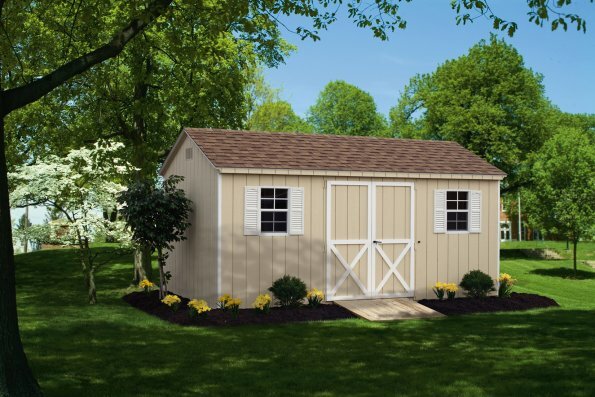 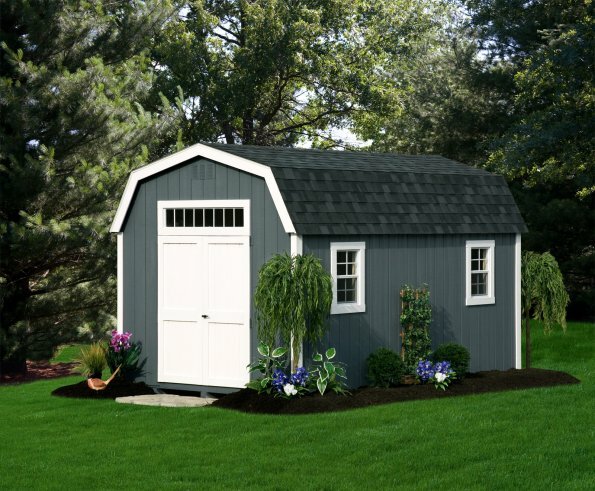 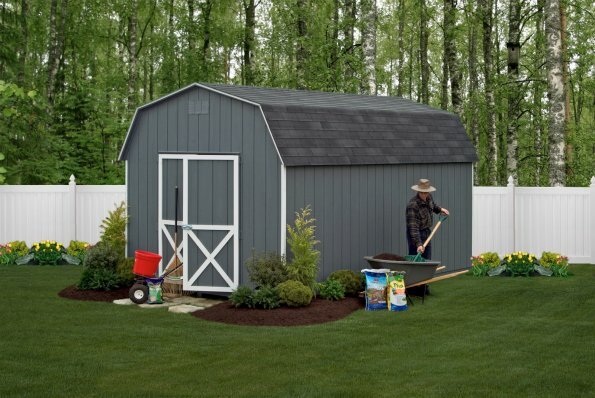 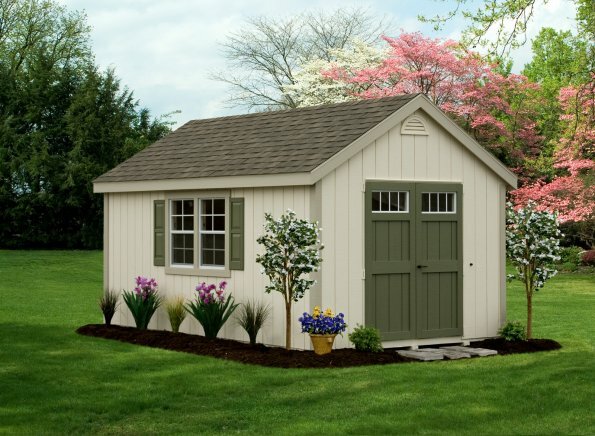 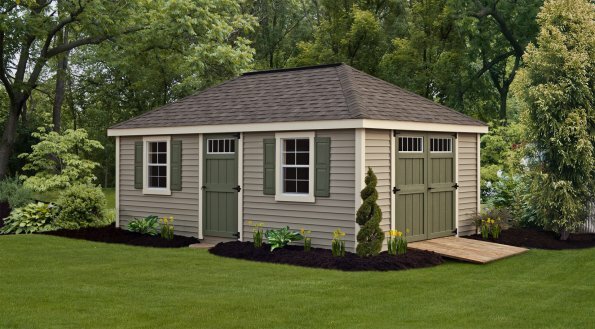 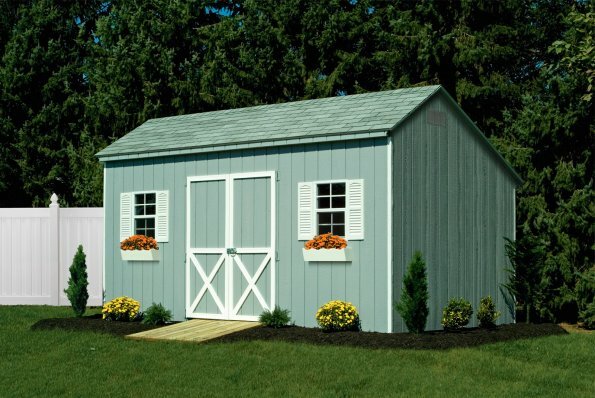 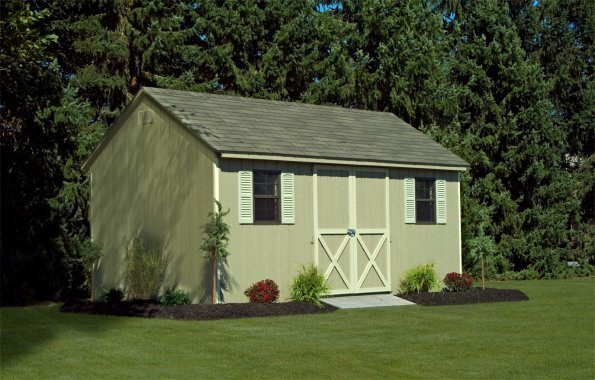 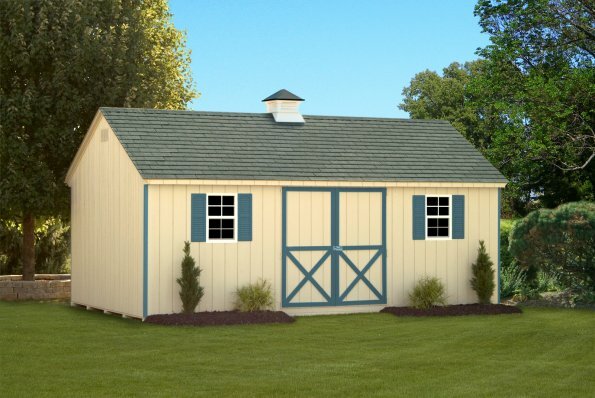 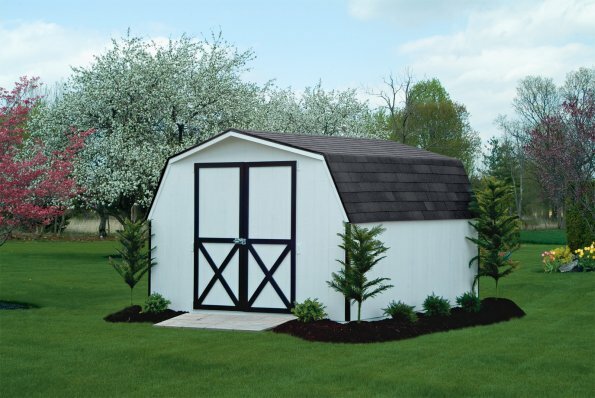 Amish Quality built – all our sheds come with a 10 year structural warranty!